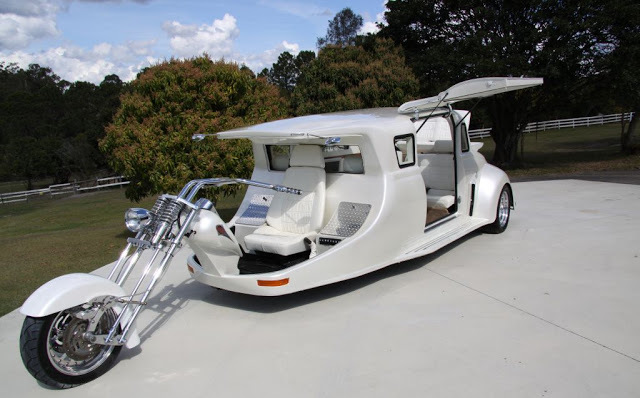 Just like the general luxurious length vehicles known as limousine, one of Harley Davidson motorcycles modified such that it has a cabin that can accommodate eight passengers and called LimoBike. It used as a specialty rental of a Queensland-based motorcycle touring company named Wildfire Tours. 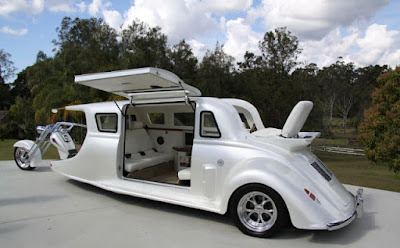 It built by unknown builder from a classic car body, then connected with half part of the Harley Davidson motorcycle on the front. It has a seven meters long and weights 1.75 ton. Especially for passengers, the vehicle has many luxury features to support the convenience during the tour trip. See it in the cabin, the impression of luxury by the use of expensive materials was seen clearly when the vertical-opened door type opened. Upholstery wrapped with pearl white colored leather as well as the use of wood materials in some of the panel parts makes this motorcycle not less luxury with a real limousine. 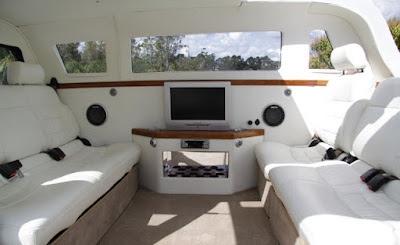 No half-hearted, the cabin is also equipped with advanced infotainment devices that use large-sized screen and wet bar and guaranteed to make you cozy in it. There are also two seats in the very back that allow riders to sit in the open-air á la parade waving beauty queen. Based on the video show above, estimated the unique LimoBike was using a machine located at the rear of the vehicle. But it is unclear whether these vehicles use a motorcycle engine or a car. Reportedly, it was used a 5.7 liter V8 Chevy engine, with the power of 350 hp.